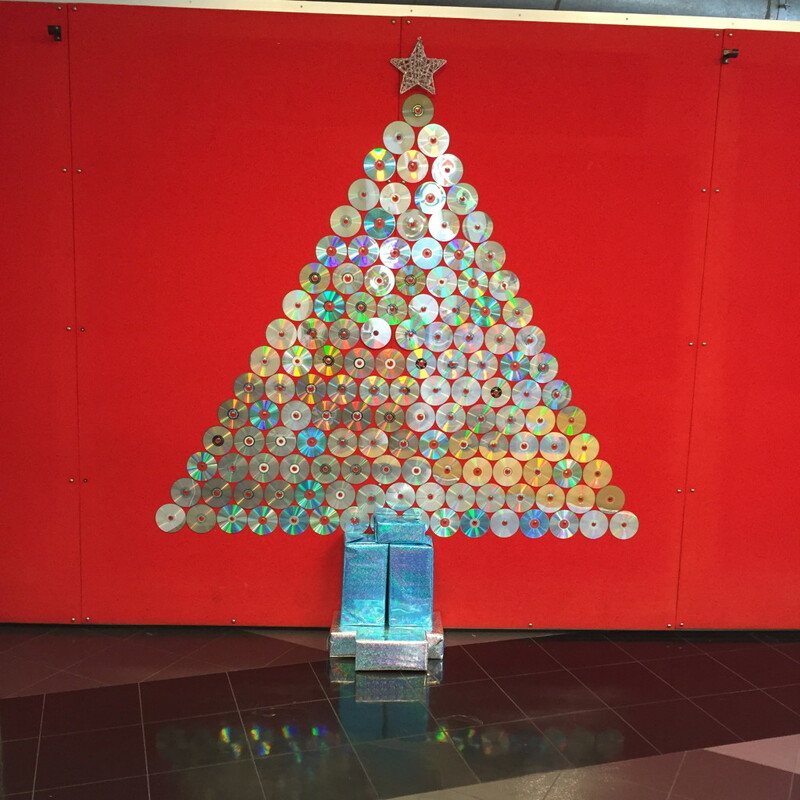 Here’s a few ideas for Christmas craft and decorations for display in public spaces….and the theme is recycling. 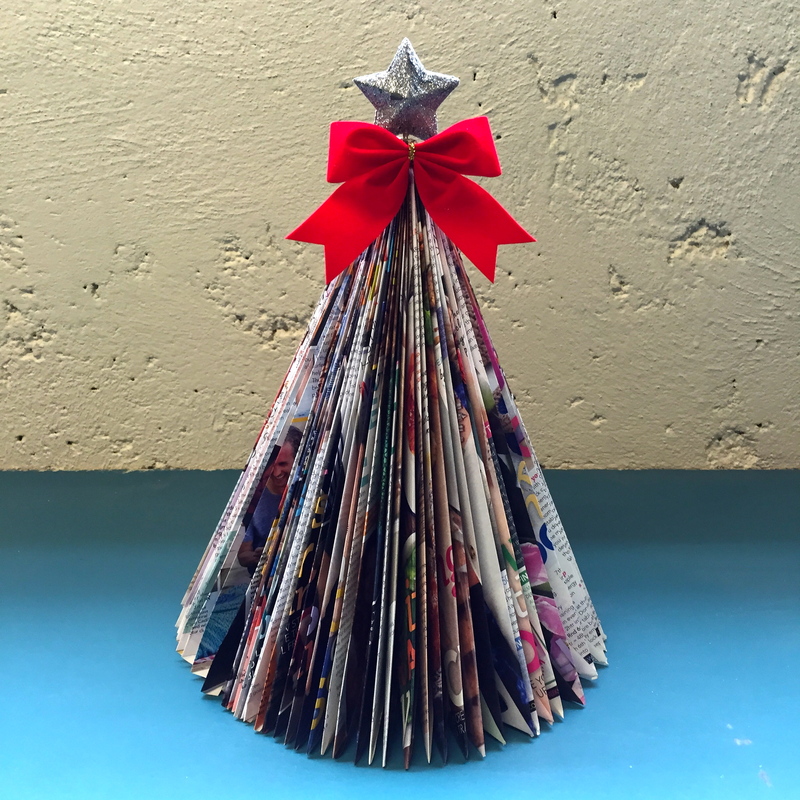 All items here are made with recycled magazines, CDs, books, and even a living tree. To make the trunk of the tree, cover boxes in wrapping paper. 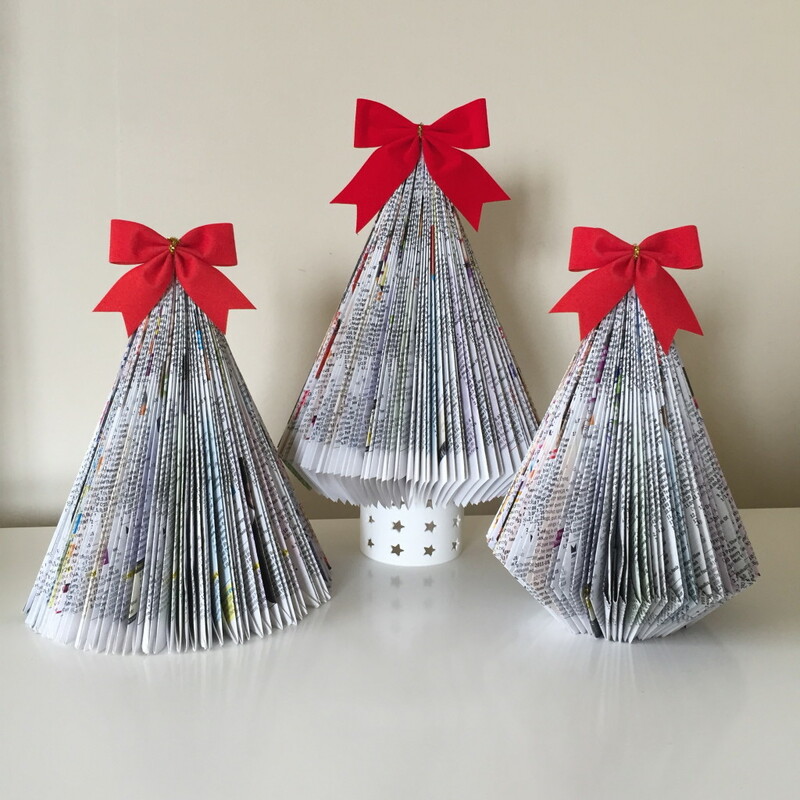 Create an ‘eco-Christmas Tree’ by decorating a living tree. 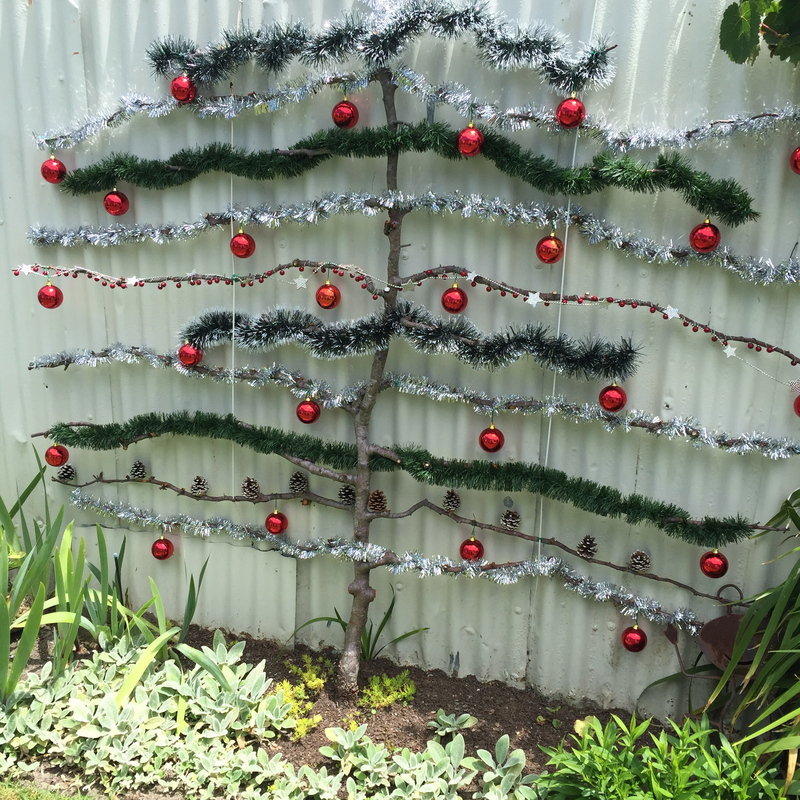 This one is an espaliered japonica in my Mum’s garden that has lost its leaves, and has been given a new lease of life with decorations of silver and green tinsel, red baubles, small red cherries on wire, silver stars, and white painted pine cones sprinkled with glitter. 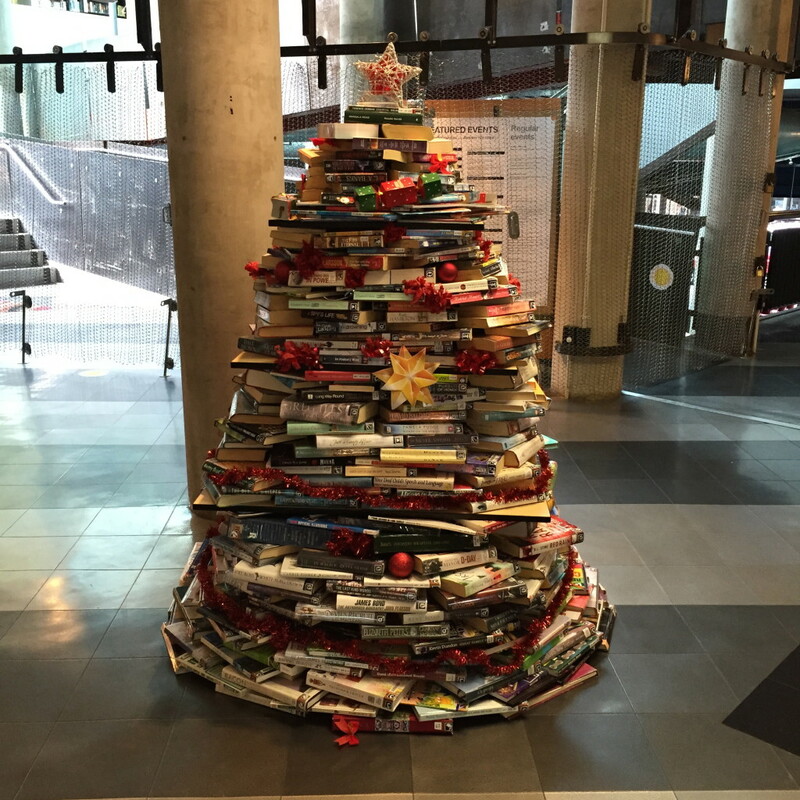 Have a happy and safe Holiday Time. 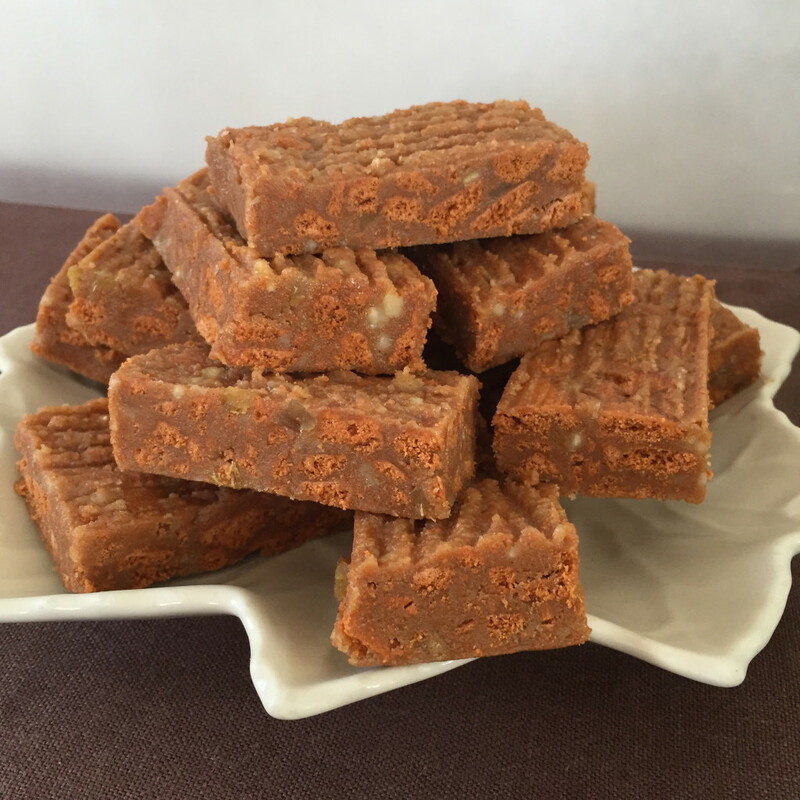 This recipe is one my Grandma used, and it started out as a peanut biscuit recipe. 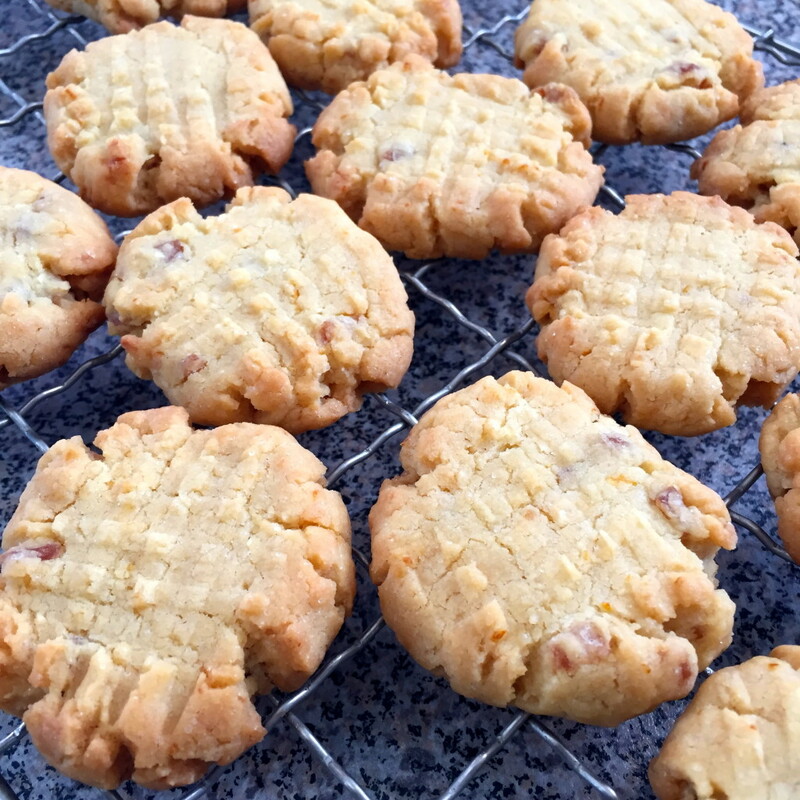 It is a really good basic biscuit recipe, so it gets adapted regularly with different ingredients and flavour combinations, and the following recipe combines complimentary flavours of ginger, coconut, and lemon. A friend who tried these biscuits, was very impressed and commented that they are “a truly excellent biscuit.” What a great recommendation! 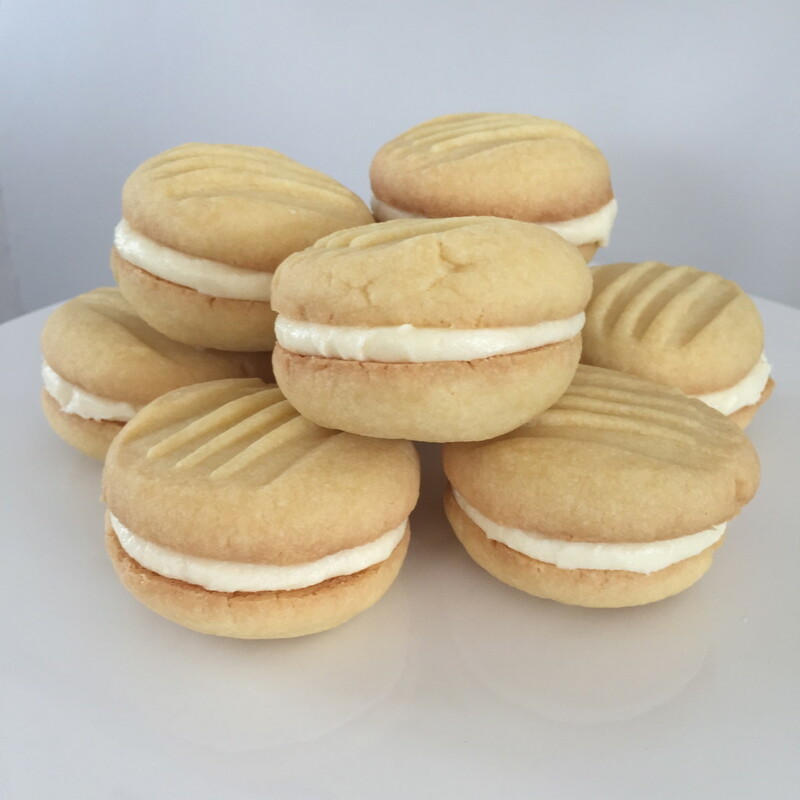 I love these biscuits not only because they taste great, but also because they are low in sugar, as they only have 3 tablespoons of sugar, and 1 tablespoon of maple syrup. For this recipe you can use either chopped crystallised ginger, or root ginger preserved in a sugar syrup. I prefer this last option, as the ginger is softer and provides a stronger flavour (thanks to my friend for making me some). You can also find preserved ginger in many supermarkets. Melt together the butter, sugar, and maple syrup. Add the flour, baking powder, ginger, coconut, and lemon rind and mix together. Line a baking tray with baking paper. Roll the mixture into balls, then flatten the dough balls slightly with a fork. Bake at 180 degrees Celsius for 12-15 minutes. When cooked, remove biscuits from baking tray to a rack to cool. The recipe for the biscuits given below is my Grandma’s recipe, just as she used to make them, but you can replace the cornflour with custard powder, which I prefer, because it makes the biscuits taste creamier and adds a hint of vanilla flavour. Either: mix ingredients the old-school way – rub butter into flour and cornflour, then add sugar and knead all well together (the way Grandma used to make the biscuits) Or the modern way: place dry ingredients into a food processor, and mix, then add butter in chunks, and mix until the mixture clumps together (depending on the size of the food processor, you may have to divide the ingredients in half and make this in two lots). Roll mixture into a log shape, and cut into 32 even pieces. Roll each piece into a ball, place on cold trays covered with baking paper (to stop biscuits browning on the bases), and squash the biscuit mixture balls with a fork. Bake at 180 degrees Celsius for 15 minutes. When completely cool, assemble biscuits together with icing. Add icing sugar, and butter to a bowl, then add boiling water over the butter, and leave for a minute to let the butter melt. When butter is soft enough to mix, add the passionfruit pulp and mix together until blended. 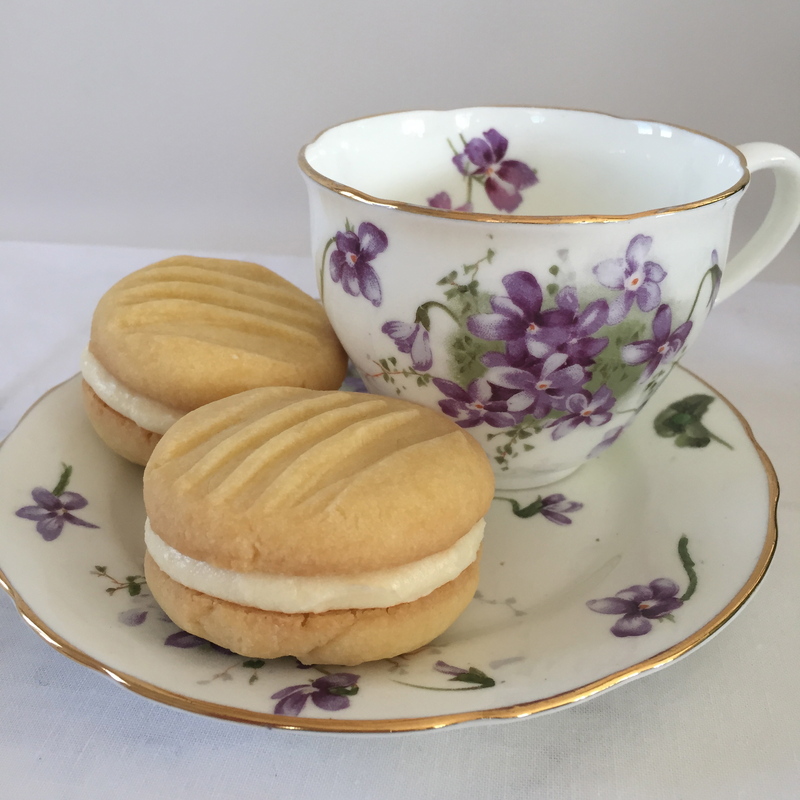 Melting Moments go great with a cup of tea, and tea always tastes better in fine bone china! Bring on the High-Tea. It is possible to make banana pancakes with just 1 banana and 2 eggs blended together, but this is just so bland! So the following recipe is on the same theme but with a few additions. 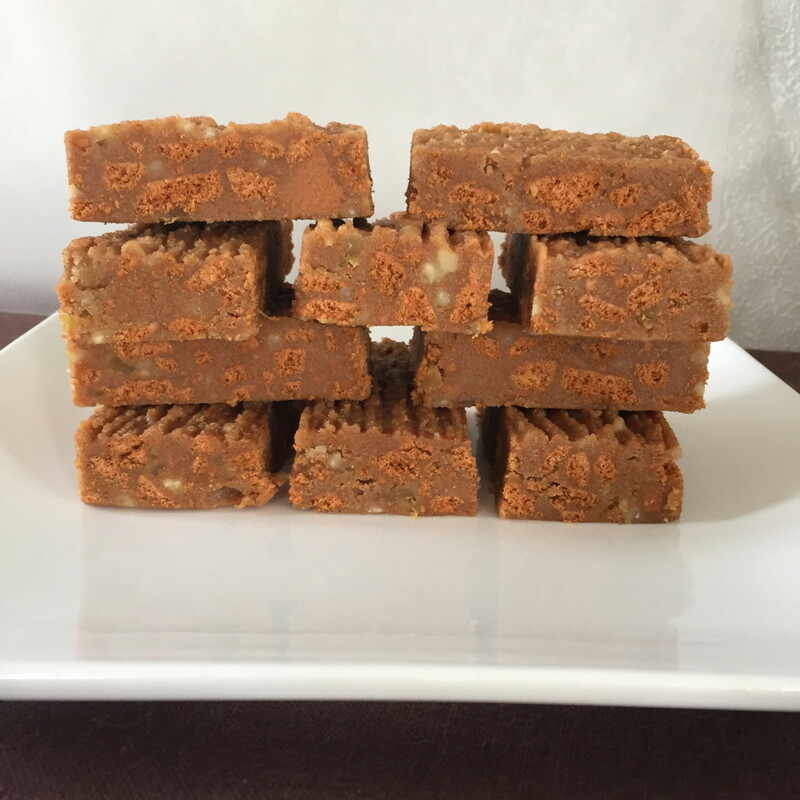 To make this gluten free, just leave out the baking powder, and choose gluten free rolled oats. I didn’t add any extra sugar to this recipe, as the banana contains natural sugars, and the topping of maple syrup adds enough sweetness. 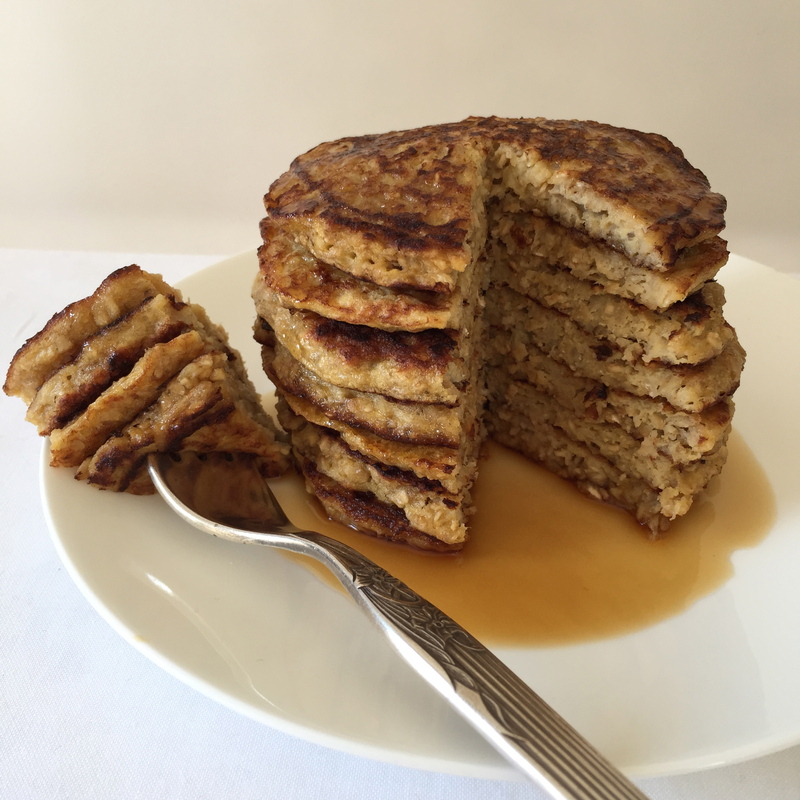 These banana pancakes can be made ahead of time and heated up in a toaster. Whisk the eggs with the vanilla extract. Into a bowl add: mashed banana, oats, milk, salt, baking powder, and egg mixture. Gently fold the mixture together. Heat the pan and add butter or oil. Pour in about 2 tablespoons of pancake batter, (this makes them a good size for flipping) and cook each side until lightly browned. The pancakes cook quickly on the underside, and will need to be flipped when the topside is still unset. Serve with maple syrup, or yoghurt and fresh fruit, or try these banana pancakes as a replacement for toast, and serve with a spread of jam (they can also be made a day ahead, as they keep well in the fridge – to reheat just pop them in a toaster).